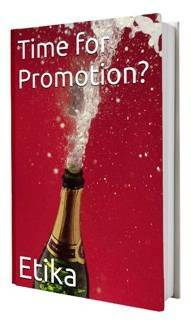 Are Your Day to Day Habits Stopping You from Getting That Promotion You Deserve? Regardless of where you are in your company it is normal to dream of a tempting career advancement and dream of the day it must might happen. However, dreams can come true and it may not be as difficult as you first think. Sure, you have to have the right skill sets, but your habits can actually be stopping you from increasing your chances of a tempting career advancement. As we have looked at before, the promises we make to ourselves are difficult to keep. - Only 28% of our promises will actually be kept.12% of our promises will be changed (to make things easier). - A whopping 60% of promises won’t make it until this time next year. So, how does not keeping your promise to yourself adversely affect your promotion chances? Well, this means that less than a third of our career promises will reach fruition! That’s not very encouraging, is it? Why? Your habits, the things we do day to day, are stopping you from keeping true to your promises to yourself. Isn’t it Easy to Keep a Promise if We Really Mean it? The answer to this question may surprise you because it’s “no”. This is because we make promises which we are underprepared to keep and don’t have the skills to fulfill. And, when the going gets tough, our habits protect us from realizing what flaws we need to resolve. In fact, you might be surprised that on average, our habits control about 40% of what we do during the day. Yes, nearly half of what we do all day long is more or less done on autopilot. What Do You Need to Ensure You Keep Those Promises? 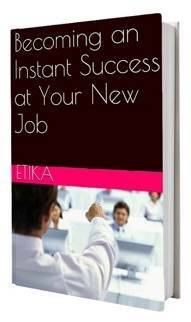 Everyone goes through sluggish times where their career doesn’t seem to be advancing. Sadly, most people just live through it and hope for the best. Others, those who really know how to succeed, grab the bull by horns and make the necessary changes. Good ol’ fashioned determination. Yep, that one quality that helps us persevere and get what we want. No one has an easy path when it comes to career advancement. 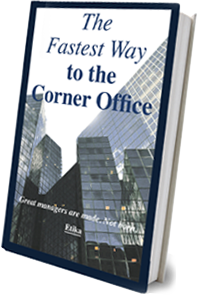 It may seem that some managers breeze along and that everything comes their way. This is not the case. What these people have going for them you can’t see because it is an in-built drive to overcome difficulties and to really succeed. Developing and nurturing your determination, and sticking to your decisions is the one thing that will help you keep your promises. If you are going to ensure that you keep your promises to yourself you are going to have to make some sacrifices. Nothing is going to be easy, and the quicker you accept that your life is going to get a little bit more difficult, the easier it will be for you to succeed in the long run. This may mean giving up half of your lunch break or working back late. It may mean studying in the evenings or on the weekends. It may mean curtailing your hobbies so you have time to dedicated yourself to what really has to be done. Another important way to ensure that you keep your promises to yourself is to create a vision of what you will look like when you have achieved your goals. It might seem strange, but visualization is integral to determination. In fact, the more you visualize, the stronger the imprint of success you’ll make on your brain. This is an important factor in developing and nurturing your determination. So, are you going to keep your promise and reach your goals? Or are you going to take the easy, comfortable road and never realize what you might have been capable of?